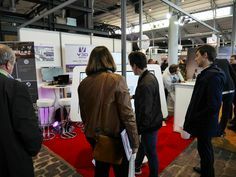 VISIMMO 3D has based its development on employees skill, technological innovation and of course customers. 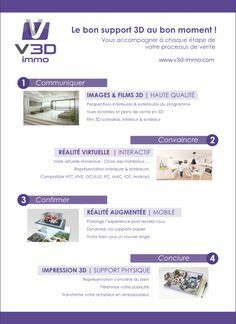 Today, by following these values, we became one of the major players in the publishing of interactive 3D solutions for marketing and sales. Combining high-end 3D computer graphics and computer engineering with high added value, we offer a wide range of innovative applications able to satisfy all business sectors. 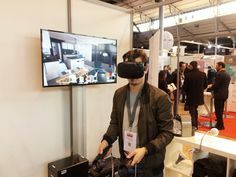 Thanks to V3D Events, its 3D virtual events platform, VISIMMO 3D became in 2011 the leading operator of interactive 3D virtual events in France. 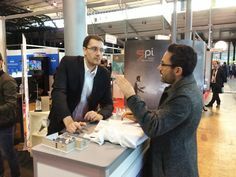 Communicating regarding the actions undertaken, results obtained and innovations to be implemented, both internally and externally. 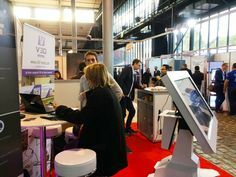 In addition, as a part of the PM’up programme, VISIMMO 3D is committed to the Ile-de-France Region to include sustainable development principles in its projects.